Chicago is being crushed by record-breaking cold this week. Trains aren’t running, the post office isn’t delivering mail, and I haven’t gone to work for two days. But it’s a great time to cuddle under blankets with a good book. What kind of book do you read when it’s bone-chillingly cold outside? A bone-chilling book, of course. Micah Dean Hicks’ horror debut Break the Bodies, Haunt the Bones, “set in the creepiest screwed-up town since ’Salem’s Lot” (Sci Fi Magazine), looks like a perfect pick. It arrives in hardcover next Tuesday. Here’s the description. Swine Hill was full of the dead. Their ghosts were thickest near the abandoned downtown, where so many of the town’s hopes had died generation by generation. They lingered in the places that mattered to them, and people avoided those streets, locked those doors, stopped going into those rooms… They could hurt you. Worse, they could change you. Jane is haunted. Since she was a child, she has carried a ghost girl that feeds on the secrets and fears of everyone around her, whispering to Jane what they are thinking and feeling, even when she doesn’t want to know. Henry, Jane’s brother, is ridden by a genius ghost that forces him to build strange and dangerous machines. Their mother is possessed by a lonely spirit that burns anyone she touches. In Swine Hill, a place of defeat and depletion, there are more dead than living. 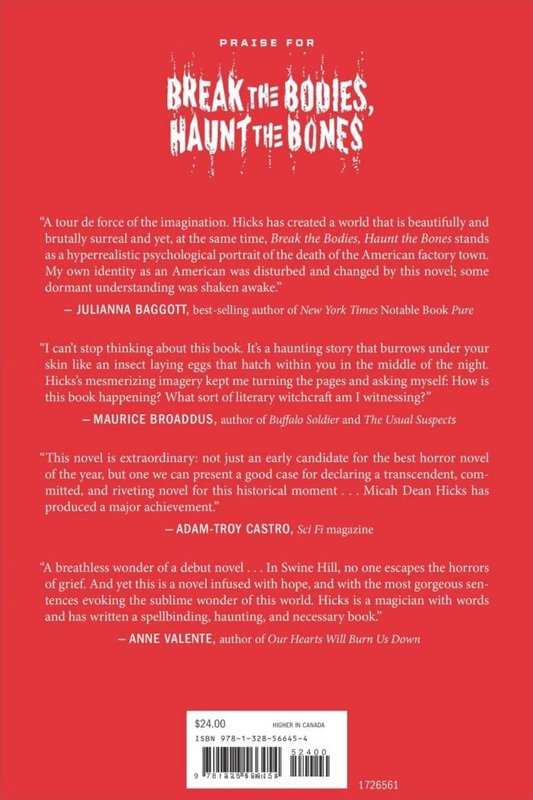 When new arrivals begin scoring precious jobs at the last factory in town, both the living and the dead are furious. This insult on the end of a long economic decline sparks a conflagration. Buffeted by rage on all sides, Jane must find a way to save her haunted family and escape the town before it kills them. 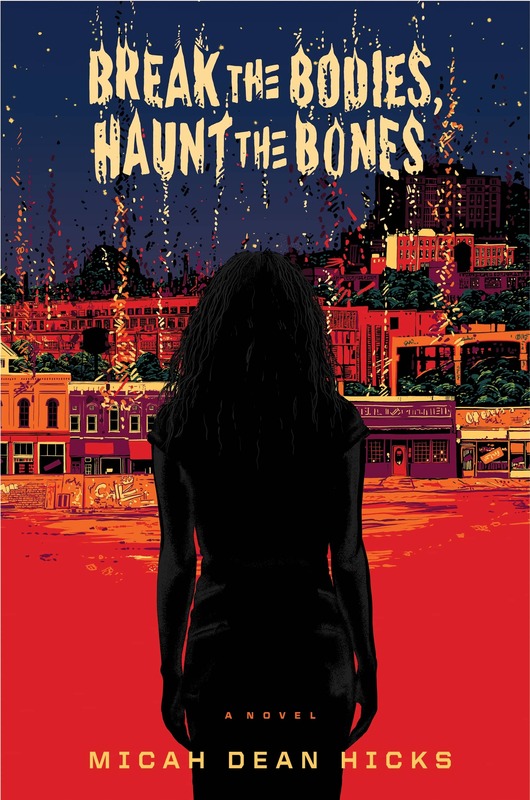 Break the Bodies, Haunt the Bones will be published by John Joseph Adams Books on February 5, 2019. It is 298 pages, priced at $24 in hardcover and $12.99 in digital formats. The cover is by Chris Thornley. See all our recent coverage of the best upcoming fantasy here.